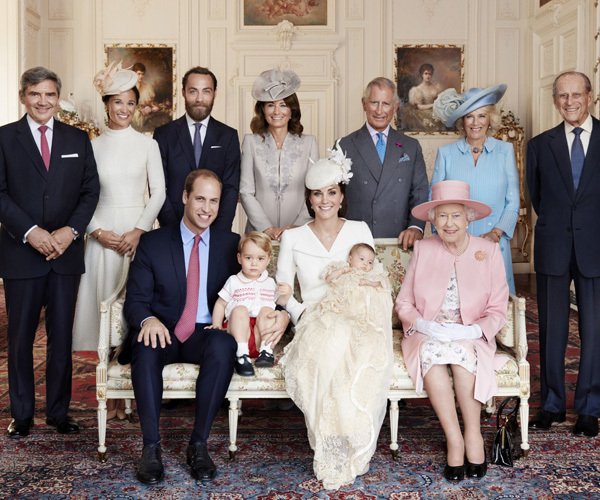 Princess Charlotte’s Christening – all the photos! The official photos are in! 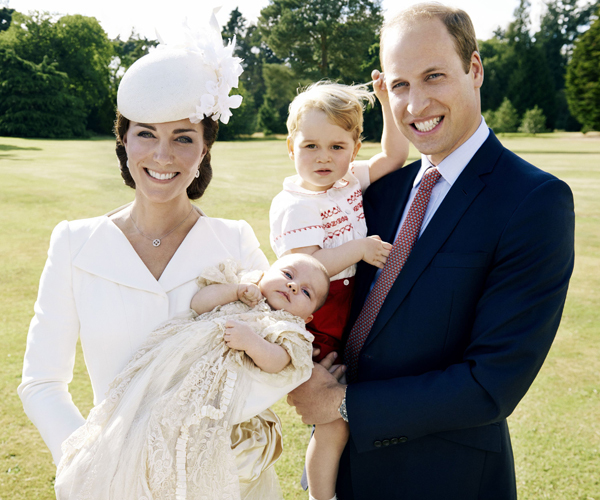 How cute are these adorable family snaps taken by Mario Testino on the day of Princess Charlotte’s Christening! The Duke and Duchess of Cambridge’s second child, Princess Charlotte who was born on the 2 May, will be christened at St Mary Magdalene Church in Sandringham on the 5 May at 430 pm. It will be the first time Prince William and Kate Middleton will make an appearance as a family of four with their first son, Prince George. Princess Charlotte’s godparents are Sophie Carter, James Meade, Laura Fellowes (Diana’s niece) and Thomas van Staubenzee who are friends of William and Kate, and also Kate’s cousin Adam Middleton. They will attend the ceremony today. The Queen (who has invited everyone back to her for tea after! ), Prince Philip, Prince Charles, as well as Kate’s parents Michael and Carole Middleton, and other close members of the Royal Family and friends will be in attendance, but it will still remain a small and private ceremony. 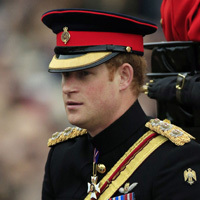 Sadly though Prince Harry will be absent, as he will be in Africa working on conservation projects. William and Kate have also invited members of the public to join the celebrations, with the paddock outside the church being opened so people can see the family as they arrive. This week rumour had it that Princess Beatrice and Eugenie and Pippa Middleton, as well as Prince Harry, Peter Philips and even David Beckham, could be in the running to be Charlotte’s godparents! 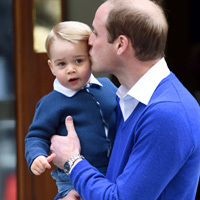 Charlotte, whose official name is HRH Princess Charlotte Elizabeth Diana of Cambridge, is fourth in line to the throne behind Prince Charles, Prince William and her big brother Prince George. Will you be tuning in to find out more about Princess Charlotte Christening this weekend? 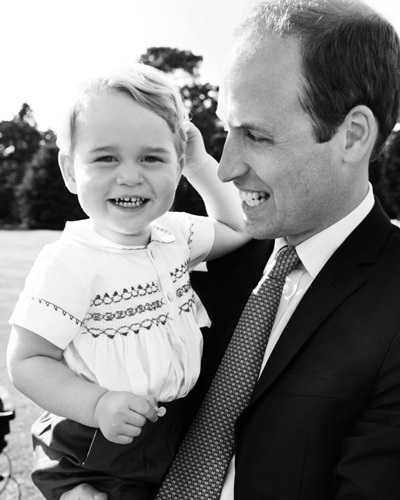 Check out Prince George’s cutest moments EVER, below!